These were Christy’s words for the life-changing results from this Medical Program for Women Only at Cherokee Women’s Health. Christy is just one of the hundreds of patients who have experienced a transformation through this unique medical weight loss program for women. We base your weight loss on YOUR needs, so you will have a weight loss program tailored just for you. Our program is designed specifically for women by our OB-GYN MDs who specialize in women’s health. 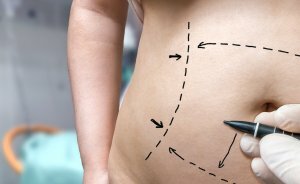 Because of our medical expertise in treating health and hormone issues unique to women, we can identify and treat hormone imbalances that may make losing weight more difficult for women. We are proud that now hundreds of our patients have found a whole new life through this program. Like Christy, you can re-discover new energy, soaring self-confidence, and re-invent your life in a way you may not have dreamed possible! Today, June 6th, 2018, marks one year since we launched our Medical Weight Loss Program here at Cherokee Women’s Health. We have been privileged to help women reach their goals by providing the motivation and resources needed with an understanding of how weight loss is approached specifically for women. Thanks to these methods, many women have been able to meet their weight loss goals and keep it off too! 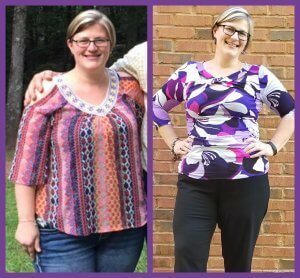 Wendy has lost 38 pounds! “When I started the program at Cherokee Women’s Health I had already lost 16 pounds but it had taken me over 5 months to lose it and then I plateaued in my weight loss journey. In the last 4 ½ months I have lost an additional 38 pounds with Cherokee Women’s Health Specialists. When I began the program, I was shopping for and being fitted for a dress for my sister’s wedding and initially I was going to be in a size 18-20 dress. By the time the wedding came around I had a size 14-16 and still had to have the dress taken in some before the wedding. The program gave me a huge boost in my weight loss journey. I now have more confidence, I’m happier, I feel better, and best of all I have more energy to run around and play with my kids without feeling so tired. 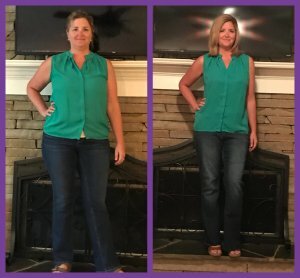 Angie Has Lost 27 Pounds! Popular diets have two things in common: they tout rapid, dramatic results and they accommodate the masses with an ironic ‘one size fits all concept’. Many participants even experience significant weight loss in a short time —initially. Inevitably, however, that dreaded ‘plateau’ occurs. Then, despite all efforts, those last stubborn, morale-shattering pounds remain. Dr. Clay discusses Cherokee Women’s Medical Weight loss program and how it has been beneficial to her personally on her weight loss journey. Women come to us regularly, discouraged because yet another diet did not yield the desired, optimistic results it promised. Their frustration is understandable-even warranted- because most are simply unaware of the complexities involved in safe weight loss management. Fad diets usually fail because they are not individually customized. A myriad of factors can hinder successful weight loss. Medical history, genetics, hormonal issues, body mass index (BMI), basal metabolic rate (BMR), lifestyle, general health, medications-even state of mind must be considered. For instance, a sedentary lifestyle, diabetes, depression, or a sluggish thyroid can greatly impact the rate at which one sheds unwanted weight. So can lack of support and negativity from apathetic family and friends who are hearing optimistic, unrealistic blather about yet another quick loss trend for the umpteenth time. Additionally, some patients may require prescriptive intervention through safe and approved supplements, appetite suppressants and even injections if necessary. All of these influences and more are important considerations and contribute to dietary outcomes. So do regular weekly follow-ups, one-on-one consultations, and ongoing moral support-even long after the desired goal is reached. As specialists in female health, we realize that a woman’s chemistry and anatomy differ greatly from a man’s- and even from that of other females. This knowledge guides us to focus solely on each woman and her individual dietary needs. By combining our expertise, patient data, and continuing encouragement, all these elements help us create a customized medical weight loss program tailored for each woman and her unique requirements. Correct nutrition fuels the body and mind like curative medicine, providing more pronounced energy, lifelong physical health benefits, and cognitive clarity, the same way the proper additives keep a car running at peak performance. Adhering to a healthy diet and exercise regimen is never easy, but it doesn’t have to be an excruciating experience. With time, perseverance, nutritional insight, and safe medical intervention when necessary, any women can overcome the setbacks that would normally prevent her from reaching her dietary goals. With proper guidance, a harmonious balance between a comfortable self-image and a permanent, healthy lifestyle is achievable. This article originally appeared in the May 2018 issue of Townelaker Magazine. To view it online, please click here. As people become more sleep-deprived in our fast-paced world, scientists are learning that this deprivation is also a huge contributor to their difficulty in losing weight. It’s hard to imagine that the number of hours you sleep can have so much impact on your ability to shed pounds, but, thanks to two hormones and their role in weight control, those extra forty plus winks can mean the difference between slender and – well- not so slender. Just when women have had their fill of hormones like estrogen, testosterone, and progesterone raging inside and causing mood swings and feminine issues, along come two more that dictate whether or not they can successfully lose weight. These culprits are named ghrelin and leptin, and they have been at constant war with each other since Adam allegedly bit into that first apple and probably couldn’t sleep afterward. What are Leptin and Ghrelin, and What is Their Function? Both leptin and ghrelin regulate hunger. Leptin, which, under a microscope, looks like that pretty ribbon you’ve curled with scissors to add a special touch to your Christmas gift, decreases hunger. In ‘non-science’ talk, your fat (adipose tissue) creates leptin and, like a homing pigeon sends it on its way into your circulatory system. From there, it is set free to travel to the hypothalamus which controls such things as thirst, hunger, temperature, and your wake-sleep cycle (circadian cycle). It carries the message that your body has enough food and can stop eating. Ghrelin, on the other hand, is the dieter’s nemesis and saboteur. It works in a similar manner to leptin, but this ‘carrier pigeon’ brings the opposite news. It tells the hypothalamus you’re hungry, thus increasing your appetite. Unfortunately, insufficient sleep causes the body to make more ghrelin and lessens leptin production. So, the less you sleep, the more you want to eat. It follows that, unless you have the willpower of robot, you will eat. Of course, the more you eat, the more weight you’ll gain. Even if you adhere to the same dietary restrictions as your clone, exercise as much, and live the same lifestyle, one of you that is not getting enough sleep will have trouble losing weight. In fact, it may not be a coincidence that the Center for Disease Control (CDC) reports over 30% of the American population is sleep deprived. Roughly the same statistics are ascribed to obesity. A recent study found that participants who slept poorly or less than 7 hours a night lost 55% less fat than their counterparts who rested enough. Furthermore, they were hungrier, suffered from low energy, and didn’t feel satisfied with the amount they ate. Interference with insulin production: Insulin, yet another hormone, is vital. It helps the body to transform starches, sugar, and other nutrients into energy. A rise in cortisol levels: Cortisol is a stress hormone that activates the brain’s reward center (amygdala), triggering food cravings. High levels of cortisol, when combined with ghrelin activate hunger by blocking brain messages telling you you’re full. Ghrelin and cortisol join forces like two little starving demons, demanding you feed them with anything that isn’t nailed down. Diminishment of mental clarity: Just like having too many shots of tequila, you begin to make poor choices, eating larger portions and selecting fatty, sweet, or otherwise high-caloric food. Onset of muscle loss (atrophy): Your body’s muscle building ability (protein synthesis) begins to fail, resulting in possible of physical injury. Slow wave or deep sleep depletion: Sleep deficit can rob your brain of the recuperation it needs after a busy day. Slow wave sleep is vital to physical growth and the body’s ability to repair and heal itself. What Can I do to get a Better Night’s Sleep? Turning your bedroom into your fortress of solitude: Treat it like hallowed grounds for the purposes of intimacy, relaxation, and sleep only. Avoid making it a bouncy house for the kids, a workstation, or an entertainment section complete with 70’ flat screen and enough woofers and tweeters to raise the dead. Adhering to a schedule: Try to go to bed and wake up at the same time every night and morning. No matter how tempting it might be to get those extra weekend zzzz’s, disrupting your routine can lead to even more sleep irregularities. Keeping it fresh: Grungy sheets and lingering human odors can be distracting. Change the linen as often as possible and air out the room regularly. You’ll rest better feeling clean sheets against your body and inhaling sweet-scented fabric softener. Establishing a routine: Wind down before bedtime by reading, soaking in a warm bath, taking a soothing shower or meditating. Leave budget worries or to-do lists for daytime. Turning off all electronics at least an hour before retiring. Studies show that these devices emit a short-wavelength bluish light that confuses your internal clock (circadian rhythm) and interfere with your body’s ability to produce melatonin, the hormone that helps encourage sleep. Empty your bladder: Void before bedtime so that Mother Nature does not call during a delicious dream. Everyone goes through periods of insomnia. However, if you experience it on a regular basis and it has become detrimental to your health, weight, and a happy lifestyle, you should consult your doctor. Lepton, ghrelin, and lack of proper sleep are not the only factors that can lead to dietary failure. Your medical history, current health, lifestyle, genetics, unique metabolism, prescription medications, supplements, vitamins, and even your psychological profile all contribute towards your ability to lose weight successfully. 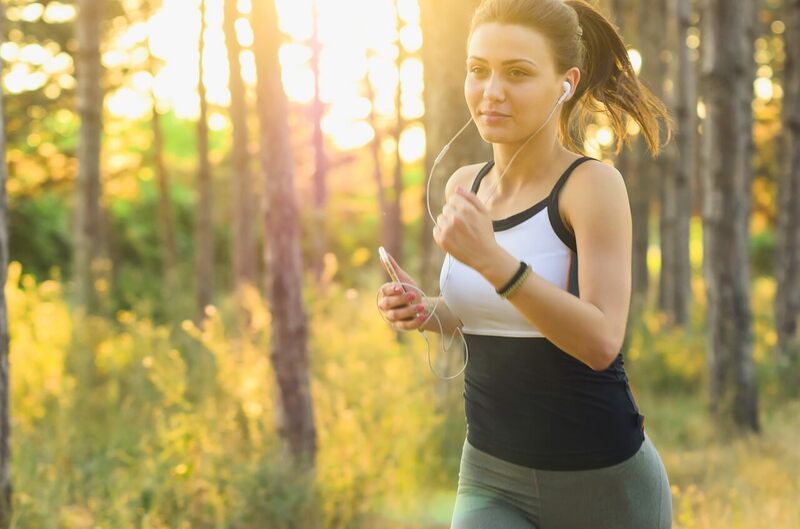 Your tailored program will be monitored regularly to ensure that your weight loss experience with us not only leads to a slender, fit, and attractive body, but that exercise, good nutrition, and even proper sleep become a welcome and healthy way of life. To book a free consultation for our weight loss program, call 770.720.7733. Can Too Much Protein in Your Diet be Deadly? We all need it but can too much protein in your diet be deadly? Almost all of us grew up hearing that you can have too much of a good thing. As children, we probably learned that the hard way by drinking too much soda, or by stuffing ourselves with extra Halloween candy. The result was never pleasant. Though overdoing sensible portions may not always be dangerous, it can certainly have disagreeable repercussions. This applies to most over indulgences, including food the body may need such as fats, carbohydrates — even proteins. What are Proteins and Why Do We Need Them? To imagine what a protein looks like, picture an open charm bracelet lying on a table from a distance. Each charm is visible but indistinguishable from the one next to it. As you get closer, those charms begin to have distinct shapes and sizes, each with their own meaning. Under a microscope, proteins resemble that bracelet. They are long strands linking together their own ‘charms’ called amino acids, and each one has its own unique formation and ‘memory’ to perform its purpose. There are twenty different amino acids essential to the human body, and each protein can have all or only some of the ones you need to remain healthy. All twenty of those amino acids linked to proteins are vital to overall health and body function. Some proteins have the complete twenty, while others have only a few. This explains the different sizes of strands attached to each protein. Any or all amino acids can also appear on the same strand hundreds to thousands of times in varying sequences. These amino acids literally keep you alive, creating enzymes, hormones, and multiple body chemicals. They build and repair tissue, blood, muscles, cartilage, and bones. Protein provides energy and even reproduces more protein such as your hair, skin, and nails. Yet another excellent source is protein powder. The recommended daily protein guideline is 1.6 grams per kilogram of weight. This means that a woman weighing 50 kg or 110 lbs. would require 80 grams or 2.8 ounces. This amount is not carved in stone. Many factors, such as lifestyle, activity level and individual health come into play. You may need more if you are very athletic, or possibly less if you lead a more sedentary life. What Happens if I Don’t Get Enough Protein? Difficulty losing weight or gaining muscle mass. Can Too Much Protein be Deadly? Though ingesting too much protein may have undesirable effects, there are no reported cases of excessive amounts of protein resulting in death. In rare instances, when massive protein consumption was reported to be fatal, it was later learned that there was an underlying disorder or disease that contributed to the event. The body is unable to store protein for later use. Any surplus you don’t need is first turned into energy and then to fat. That, in turn, is stored away, causing weight gain. Overloading on protein rather than eating a balanced diet can also run the risk of you not getting other nutrients you need in the form of fiber, carbohydrates, vitamins, and minerals vital to good health. Copious amounts of protein are only usually dangerous if you have a genetic, hereditary, or pre-existing problem. 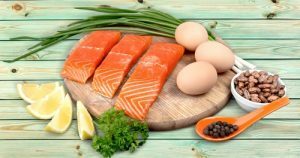 Excessive protein intake may accelerate further problems if you already suffer from weakened or compromised kidneys, liver, pancreas, or heart. Tainted or diseased food containing protein can be lethal in small or large amounts depending on the severity of the toxin. In short, too much protein can contribute to complications, but simply eating too much of it does not have deadly consequences. If you have nutritional questions, call us at 770.720.7733. Statistics say that the average weight gain over the holidays is 15 pounds but understanding your BMR may help you boost weight loss over the holidays. You may have stumbled across the words, ’Basal Metabolic Rate’, more commonly referred to as BMR, in one of your many quests for a permanent weight loss program. The explanation regarding BMR probably seemed a little too scientific or complicated to completely understand, so you went on to look for something less confusing. If, instead, you researched and tried a few fad diets, lost weight and then gained it back with more, it might be time to take another look at that BMR information. With the holidays quickly approaching, your caloric intake is probably on your mind —along with the fear of caving once you get to that food-laden table. Grandma or Mom will start circling your favorite pie under your nose, using their other hand to wave that delectable scent to your nostrils; someone will insist you be the judge of the best of three stuffings – and, oh my goodness, did Aunt Carol say she was bringing her famous candied yams? Very simply put, your body needs a certain amount of energy in order to function. Even while you’re sitting perfectly still or sleeping, calories are needed for all your organs to operate correctly – for your heart to beat, blood to circulate, kidneys to filter and flush waste. Even breathing requires energy. Your basal metabolic rate (BMR) is the minimal amount of calories necessary to perform these functions when your body is in a state of complete rest and inactivity. Why is This Important Regarding Weight Loss? Your Gender – Women typically have more fat and less muscle than men, so their BMR will be a lower number. Your Age – As you age, activity levels typically drop, leading to more fat than muscle and a decline in metabolic rate. The human body doesn’t think. It’s a machine and its main function is to survive. It needs fuel (food and drink) to run properly. To do that, it needs a certain number of calories to do its job adequately. If you feed it more than it needs, it converts the excess into fat and stores it, much like a squirrel hiding nuts for the winter. If you begin dieting before knowing the minimal calories you need just to keep everything working, your body feels deprived and begins to deplete its stashed hoard until it runs out of fuel. Once that reserve is gone, it starts to work less effectively. It doesn’t know you are eating less because you want to lose weight. All it knows is that, suddenly, its accustomed level of mandatory nutrients has decreased and it doesn’t have enough ‘fuel’ to keep things running smoothly. By knowing your BMR, you have a starting point to begin a healthy lifestyle of diet and exercise with a greater potential for permanent results. Weight gain is usually a slow process. It stands to reason that weight loss will be equally slow. However, as you start to eat sensibly, cut back on calories safely, and work out a little, your BMR level will drop accordingly until you reach a desirable number and can maintain your weight. 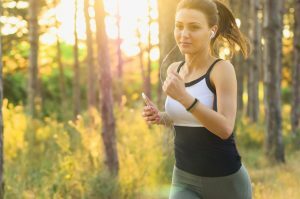 Are BMI and BMR the Same Thing? No, BMI stands for body mass index. The number calculated from the body mass index formula is used by physicians to measure the amount of muscle, fat and bone in an individual. It determines if a person is obese, overweight, underweight or right on target. BMI numbers alert doctors to identify if their patient is at risk for potential problems such as diabetes, heart disease, anorexia or other disorders. 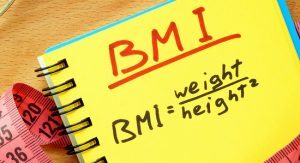 BMI, along with BMR, is also helpful for nutritionists and dieticians in helping you plan a healthy weight loss program. Many BMR calculators are available online, but if you prefer to figure it out manually, this is the formula based on a woman who weighs 140 pounds, is 5’4”’ tall (64”), and is 35 years old. Step 4) Add this total to the amount in step #2 (1264 + 300.8=1564.8) Write this total down. Step 6) Subtract the total in step #5 from your total in step #4. (1564.8 – 164.5=1400.3). In short, based on this random woman’s gender, weight, height and age, this would be her formula to follow: 655+ (4.35 x 140) + (4.7 x 64) – (4.7 x 35) = 1400.3. The total of 1,400.3 is the basic number of calories she would need simply to maintain body function at complete rest. To determine your BMI number, you only need to substitute your own information. Very Inactive – If you work at a desk job with very little movement throughout the day, multiply BMR by 1.2. Mild – If you do minimal exercise or participate in light sports once or twice a week, multiply BMR by 1.375. Average Activity – If your exercise regimen or sports participation is moderate 3-5 days a week, multiply BMR by 1.55. Heavy – If you exercise daily or participate in sports 6-7 days a week, multiply BMR by 1.725. Extreme – If you exercise very heavily, have a physical occupation, body train, or practice extreme sports, multiply BMR activity by 1.9. We offer individual medical weight loss packages and counseling and customize each program based on your specific needs. We assess your eating habits, modifying any vitamin, mineral or protein deficiencies with appropriate supplements. 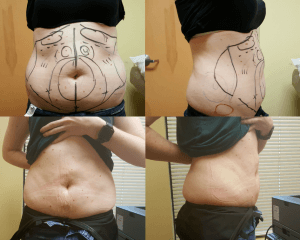 If stronger intervention is required, FDA-approved and natural appetite suppressants, fat-fighting injections, and HCG therapy are also available. We recognize that your needs are as unique as you are, and we treat you accordingly. Call today to schedule your free weight loss consultation at 770.720.7723. Is Post Pregnancy Exercise a Baby Fat Eraser? If you’re like many new moms, you’re ready to shed that extra baby weight… and now! It’s a perfectly natural feeling but if you’re not careful it can lead to a never-ending cycle of harmful weight loss that doesn’t last. A healthy combination of nutrition and exercise can get you back to pre-baby weight in a matter of mere months. Be sure not to rush it though. Remember, it took 9-months to get to where you are now. Don’t expect lasting weight loss to happen overnight. Exercise can be a wonderful tool for new moms for many reasons. Physical activity can help reduce stress and help you sleep while keeping your muscles and bones strong. Before starting a new routine, take care to get proper guidance on what to you can expect from your post-baby body. Heading to the gym for a workout right away can be harmful to your body, especially if you’ve had a c-section. Start slow. Having a newborn doesn’t leave you much time for anything, much less exercise. Try incorporating 30 minutes of walking into your daily routine broken into short 10 minute breaks as you can. Incorporate strength training into your routine. Strength training with medium to light weights can help increase bone density as well as building muscle. Don’t go it alone. You’re more likely to stick to an exercise program if you’ve got support from friends, family, or other new moms. Try joining a gym that has classes dedicated to new mothers. Avoid jumping into old routines. Instead of worrying about what you could do before your pregnancy, focus on what your body can handle now. While you’re pregnant your body releases hormones that loosen your ligaments, making giving birth easier. It can take time for them to get back to normal. Remember, don’t start any exercise until you feel ready. Women that have had c-sections or complicated births should consult a medical professional before starting any exercise programs. Although exercise plays a strong role in meeting your weight loss goals, healthy nutrition is a primary factor for lasting weight loss. No matter how much you workout, exercise does not counteract an unhealthy diet. It’s often hard to eat right when balancing life with a newborn. But it doesn’t have to be. Try some of the following tips to get on the right track for reclaiming your body through healthy eating. Eat at least 1,800 calories a day, especially if breastfeeding. Avoid crash diets. Pushing yourself to the max can leave you stressed which actually promotes weight gain. Stock up on healthy snacks. Noshing on foods like sliced fruits, veggies or wheat crackers throughout the day is a healthy way to keep cravings at bay. Choose a well-balanced variety of foods. Stick to foods high in the nutrients you need while low in calories and fats. Try a variety of lean meat, chicken, and fish as your primary source of protein to keep your energy levels up. Drink lots of water. Not only does water keep you feeling full but some studies have shown that water can also aid in speeding up your metabolism. When you were pregnant you likely changed your eating habits to support your baby’s growth and development. Making the change back to your old routine can seem daunting. Seek support from friends, family, or other new moms when necessary. Don’t be afraid to ask for help with your post-baby weight loss. Every woman and every situation are unique. Here at Cherokee Women’s Health, we have a medically supervised weight loss program designed especially for women. We can help nursing moms like you find a sustainable diet plan. Feel free to give us a call to learn more about our weight loss programs tailored just for you. Monica shows just how easy it was for Wendy to get great results with the help of our Medical Weight Loss Program. This part of Wendy’s story is not uncommon. Many people begin diet and weight loss programs and see early successes but have a difficult time reaching their goal. At Cherokee Women’s Health Specialists our doctors have formulated a plan specifically for women and their unique needs. The program includes personalized meal plans and nutritional education. 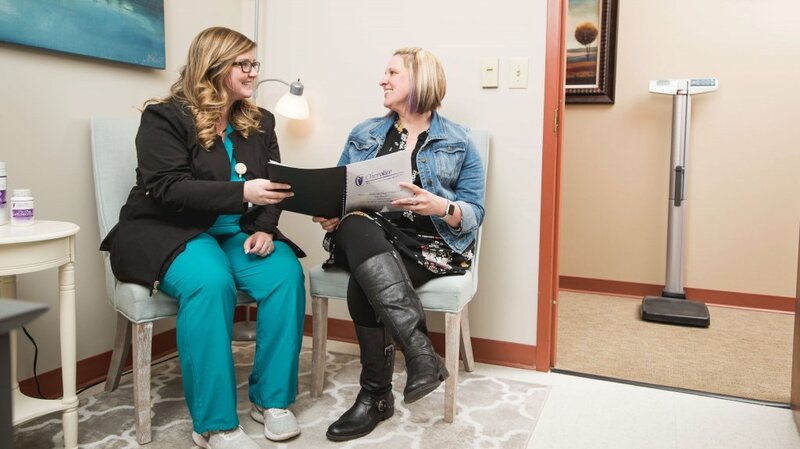 Each patient gets a personalized plan that can include supplements along with the nutritional counseling, and regular check-ins giving women the skills they need for long term success. Goal for the Bridesmaid: Pounds and Dress Size… Going Down! 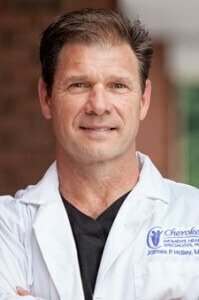 “In the last 4 ½ months I have lost an additional 38 pounds with Cherokee Women’s Health Specialists. When I began the program, I was shopping for and being fitted for a dress for my sister’s wedding and initially I was going to be in a size 18-20 dress. By the time the wedding came around I had a size 14-16 and still had to have the dress taken in some before the wedding. Our medical weight loss program is designed to be an effective life style change that puts the power in our patients’ hands. With nutrition counseling, exercise plans and accountability, the medical weight loss plan gets results for women. 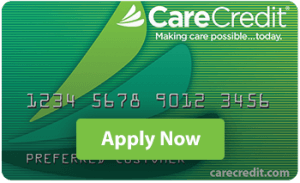 Call 770-720-7733 to schedule your free consultation today. As many as 86 million people in the United States have prediabetes, yet 90% of them don’t even know it. Prediabetes is the condition that exists when you have higher than normal blood sugar levels, but not high enough to classify as diabetes. Someone with prediabetes has a higher risk of developing Type 2 diabetes and other serious health issues, including stroke and heart disease. Since this condition has no symptoms, it can easily go undiagnosed. However, there are risk factors to look for, and certainly ways you can decrease your risk of becoming a Type 2 diabetic. Type 2 diabetes is a major public health issue, and more people need to know they are at risk. If you’re over 45 and have any of the other risk factors, you should see your doctor. A simple blood test can let you know if you are prediabetic. Unfortunately, most Americans these days have a body mass index (BMI) over 25, not realizing the risks associated with it. 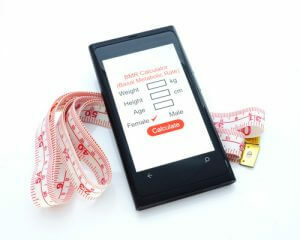 If you have a calculator, you can easily figure your BMI. Below is the standard formula. If you are in good shape and have extra muscle, it may be a little off. Nevertheless, it is still a good method and will give you a close estimate. Figure out how many inches tall you are. (Example: if you are 5’4″ you are 64 inches). Write the total down and clear your calculator. If the result you get is less than 18.5, you are considered underweight. If your BMI is between 18.5-24.9, you are normal weight. But if your BMI is 25-29 you are considered overweight, and over 29 is considered obese. No matter how undesirable you find your calculations, don’t despair. Make today the first day of positive changes. It’s never too late to start a sensible diet and exercise plan. Change begins with that first step. Get committed!! Get going! For guidelines on nutrition and weight loss, discuss your concerns with your doctor at your next annual exam.